Raman Raghav is a typical Anurag Kashyap film- a moving hand held camera, dark alleys, haunting music, gore, expletives and drug abuse. It is based on the real life story of a serial killer with the same name who once haunted Mumbai. However the resemblance stops at that. 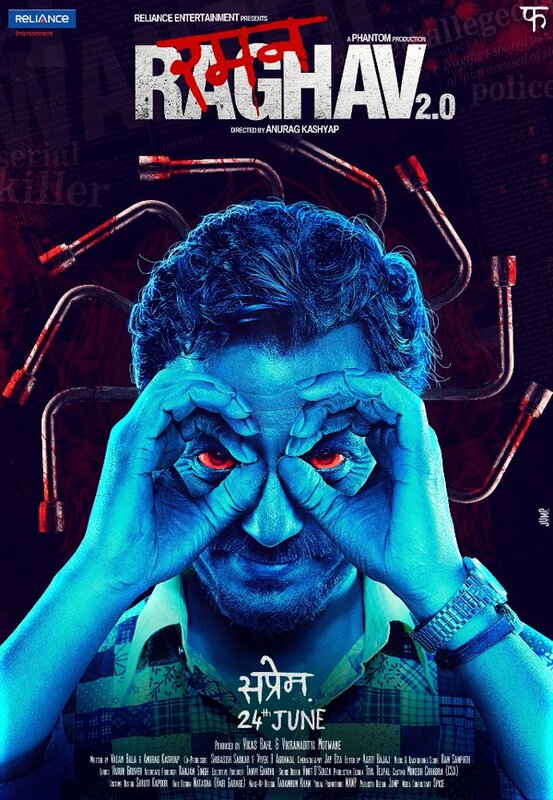 While Nawazuddin Siddiqui is the killer, he is hunted by a cop (Vicky Kaushal) who is similar to him in a lot of ways. Just like many movies in this genre, this movie too is a cop and killer story, but with a difference. Instead of focusing on catching the killer, it showcases the similarity in the psyche between the two. However, in doing so, it falls short of building the characters fully. We don’t know why Raman is killing or much about his life before he became one. We also don’t know much about the cop’s back story or what makes him a coke snorting misogynist. We are introduced to the killer’s sister and the cop’s father briefly and know that they have had a disturbed background. The movie starts as the killer’s story and ends as the cop’s story. Nawaz plays his role to perfection but has some characteristics of his villain role in ‘Kick’. His nonchalant demeanour and wisecracks lend a humorous note. Vicky doesn’t get in to the shoes of the cop well. The rest of the cast does a good supporting job. Anurag is getting repetitive with his genre. Watch it if you want to know what got screened at Cannes this year!